Our group will meet tomorrow (Wednesday) morning at 6:30am in our lobby located at 2500 S Cornwell, Yukon. 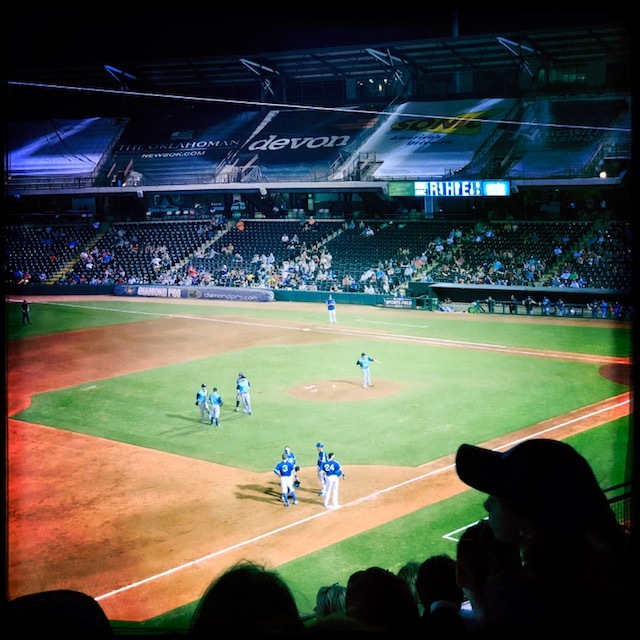 If you were able to make to the OKC Dodgers outing last Friday night – it was a great time. Surprisingly, I made it all the way to the fireworks and that was later than usual for me! "Am I getting nobler, better, more helpful, as I get older? Am I exhibiting the life that men take knowledge of as having been with Jesus, or am I getting more self-assertive, more deliberately determined to have my own way? It is a great thing to tell yourself the truth." Too often, I learn (after the fact in most cases) that I am the latter of these things mentioned. I like foamy soap only, I prefer my cup in the top cup holder in the car, and I like to get in the last word…AND I am impatient! This is also why I need our group…it makes me contemplate the biblical traits and principles I need to exercise in my life EACH day and to know that I am not doing this in a vacuum – YOU and I are doing this together. As we discussed last week…"It's up hill all the way".